Home / Latest TBV News / Victorian breeders have Good ‘n’ Fast times ahead! Victorian breeders have Good ‘n’ Fast times ahead! There wouldn’t be a racing season go by without the formidable breeding partnership of the Devitt and Gordon families and elite training establishment Lindsay Park producing a highly promising two-year-old. 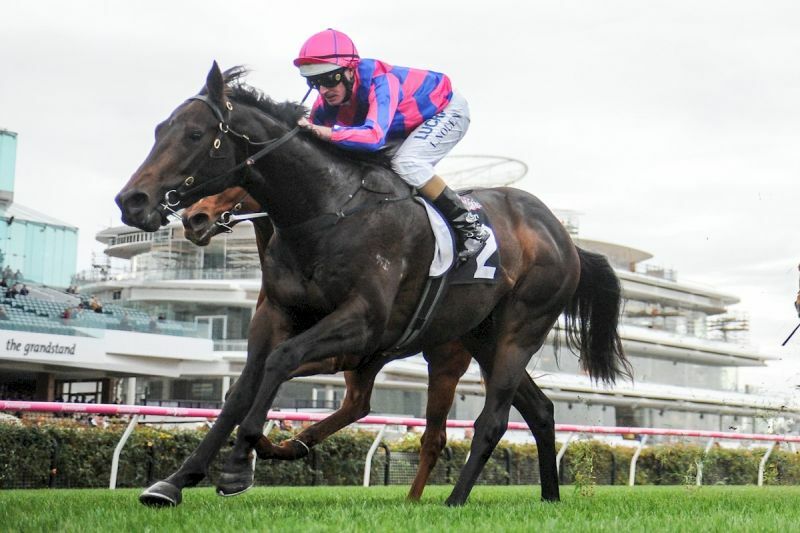 And if it hasn’t already happened this season, then it did on Saturday at Flemington with their homebred juvenile Good ‘n’ Fast scoring setting himself up nicely for black-type targets. After a second on debut at Flemington two weeks ago over 1100m, he stepped up to 1400m in the Gippsland Region Handicap and saluted the judge. The promising two-year-old is a half-brother to multiple Group 1 placegetter Fast ‘n’ Rocking, from the breeding partnership’s wonderful producer, the Hennessy mare, For The Good Times. Co-trainer Tom Dabernig indicated the Listed Taj Rossi Series Final (1600m) at Flemington in two weeks loomed as possible next start for Good ‘n’ Fast. “We’ve always had a nice opinion of him,” Dabernig said. The Devitt/Gordon partnership started with Peter Devitt and his close friend and business partner Les Gordon. While Les sadly passed away in 2012, his sons Russell and Craig maintain the breeding and racing interest. As both breeders and owners, the partnership has enjoyed much success. It started with King’s High winning the Victoria Derby in 1988 and then the Australian Guineas. That was followed with the likes of five-time Group 1 winner Niconero and two-time Group 1 winner Nicconi – both out of their blue-hen broodmare Nicola Lass. Other stakes winners in recent seasons have included Hear The Chant and Wait For No One. All of these success have been with Lindsay Park…at first with Colin Hayes and now with David and Ben and Ton Daberning. The partnership maintains a shareholding in the now Widden Stud based Nicconi (who incidentally is the sire of another Flemington winner on the weekend in the budding star Nature Strip).